Known in India as sugar for diabetics, Palmyra Jaggery or Gur, is a very rare plant based source of vitamin B12. This low glycemic index food has nourishing levels of both B vitamins and a host of essential minerals. This 100% natural and unrefined sugar made from the Palmyra palm sap holds a special place in Indian culture. Used in many rituals and customs this food is considered sacred as it is often consumed before an important journey or after a birth or death. Jaggery is developed from sugarcane and processed in a manner that retains its nutritional benefits. 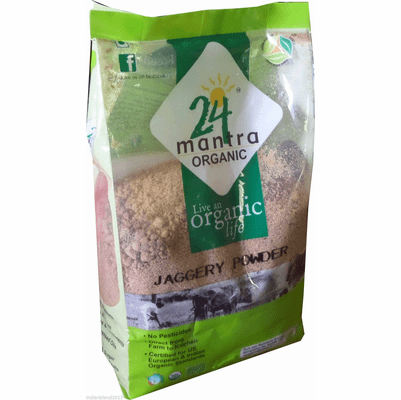 Organic Jaggery powder is a pure, wholesome, unrefined whole sugar that contains the natural goodness of minerals and vitamins. - Unrefined natural sweetener made by evaporating sugar cane juice. - Wholesome and healthy alternative to white sugar which has nothing but empty calories. - Contains rich molasses and minerals. Treasured in India for thousands of years. - Dissolve in hot water to create a syrup base. - Organic is important, as conventional sugar cane production/processing involves use of pesticides, chemicals and dyes. It comes from the sap of palms, and its flavor is described as an aromatic blend between brown sugar and molasses with sweet undertones. But what makes our organic jaggery powder superior to conventional jaggery is the way it's made! Because it is processed without the use of chemicals, organic jaggery retains many vital vitamins and minerals, such as calcium, phosphorus, magnesium, and potassium. In fact, our organic jaggery powder has a mineral content approximately 50 times greater than refined sugar and five times more than brown sugar. Just a teaspoon of our organic jaggery delivers approximately 3-5 mg of calcium, 3-5 mg phosphorous, 6 mg magnesium, and 45 mg of potassium. Jaggery is used mainly in Indian cooking and is traditionally used to maintain the Himalayan Kombucha culture. Known in India as gur, gud, or pan. 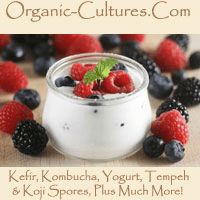 Can use this sugar for many types of cultures, such as water kefir strains, kombucha starters, or coconut waters. Contains 14 oz/400g of USDA organic Jaggery sugar. Note: Item packaging or brand may be different than that pictured.